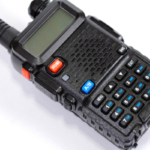 We often hear from customers that cell phones have the same capabilities as two-way radios. With cell phones now being able to connect you to the internet, share pictures, and access email (among many other things) it is not surprising that they are seen as a descendant of two-way radios. This could not be farther from the truth. It is no secret that cell phones have come a long way in recent years, but what is widely unknown are the many uses of two-way radios that cell phones just can’t do. Two-way radios date back to the late 1800s. In 1885, Heinrich Hertz proved the existence of electromagnetic waves and that these waves could be sent and received. Shortly thereafter, Nikola Tesla used this theory and created the first radio. To learn more about Hertz, visit (this article). To learn more about Tesla and his part in two-way radio history, visit (this link). Two-way radios made their first appearance on ocean ships and airplanes. Before this, pilots often had to land their planes to deliver important messages, and ships were relegated to using Morse code and carrier pigeons. Within a few decades, two-way radios were implemented in police cars, and used by the military in WWII. 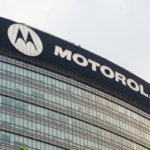 Today two-way radios are used in numerous public and government functions. From firefighters to police officers, and construction workers to miners, two-way radios go where cell phones simply can’t. When electromagnetic waves were first harnessed to serve as communication transmitters, they were sent in only one direction, which is referred to as simplex communication. Your car radio or home televisions are examples of this form of communication. Simplex communication is one-directional and often used in instances of emergency when a large population needs to receive information. Your television harnesses simplex communication to deliver you the news, and both your TV and radio will interrupt normal broadcasting to inform citizens of emergency situations. Today simplex communication is still used in daily life more than most people realize. Pagers, GPS services, baby monitors, garage door openers, video cameras, and printers all rely on simplex communication. Most people would follow the logic that when looking at the advancements in communication, full-duplex is better than half, and half is better than simple. In contrast, all three forms of communication have their own pros and cons. Simplex communication is used in technology that is all around us, and would have no added benefit if turned into half or full-duplex forms. Do we really need our garage door openers to transmit signals back to us? Or do we need to send radio signals to our GPS services? Most would say no. It would be a waste of time and money to create car radios that also send outgoing messages. On the other hand, our telephones would be of little value to us if we were only able to speak to our friend at the other end without them being able to respond. When we compare two-way radios to telephones, cell phones in particular, we see many advantages to using a two-way radio. When it comes to emergency personnel, one would be hard pressed to find individuals who believe that a cell phone would be of greater use to them than a two-way radio. There are two main reasons for this: group communication and instant messages. Picture a large house fire. Firefighters and other emergency workers arrive to the scene, already with their two-way radios set to the same channel. All messages sent out by each person are heard by every worker who is set to the designated frequency. No answering, no buttons to push, no stopping. In addition to all personnel being able to hear the same messages, they receive these messages instantly. While a paramedic is moving an injured person to a nearby ambulance, he hears on his radio that another person has been rescued and needs medical support. He can quickly prepare himself and his team for the next person, and do it within a matter of seconds. The lives of all workers, and the people they are trying to rescue, require immediate action and to the second information. In addition to emergency personnel, every day citizens will find it difficult to use their cell phone during national emergencies. It has often been seen during these times that millions of people get on their phone trying to reach loved ones. Because of this massive deluge of callers, cell phone networks often do not work. Callers cannot get through, and messages are not sent or received. 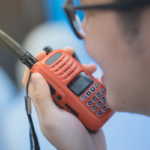 In addition to ease of use, group and instant messaging and reliability in emergency situations, two-way radios are much more durable than today’s cell phones. As most of us know, a cell phone can be destroyed with one simple drop onto an asphalt or concrete surface. Two-way radios are much sturdier and able to withstand much more abuse than any cell phone on the market. In tough work environments, a cell phone might last a matter of months, whereas a two-way radio can withstand the conditions and last for years. Even though most of us are used to having excellent cell phone coverage, there are many locations around the world where cell phone towers are absent. When in remote locations, two-way radios are far superior. 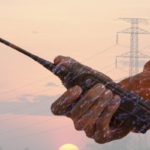 Two-way radios do not need any towers to send signals. The radio waves are simply transmitted from radio to radio. Examples of these areas include remote forests, underground construction sites, and open ocean. Overall two-way radios and cell phones are wonderful pieces of technology that in and of themselves serve very different purposes. Each has had advancements that further their uses, and in many ways are on separate tracks. Cell phones are great for having conversations, playing games or browsing the web. Two-way radios are a means of instant communication in emergency situations, in remote locations and when cell phone towers are overwhelmed. For more information on two-way radios for your company or government sector, please check out our contact us page (HERE).